Bridget Griffith Evans, part owner of Luckystar Gallery in Milwaukee's Historic Third Ward area. Shown here posing with Mark's Igor Play Nice piece. 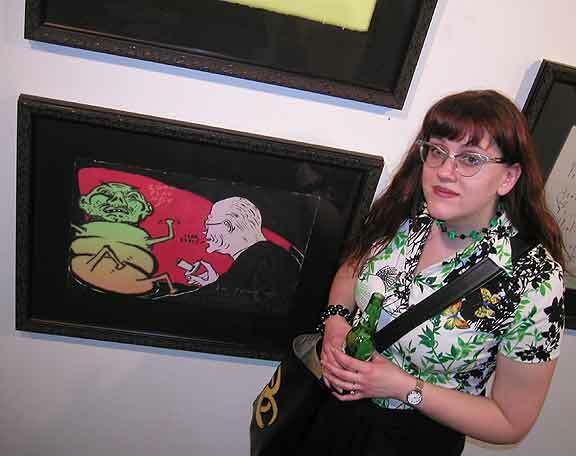 Watch for a future Mark Mothersbaugh show at Luckystar!